This statement sets out Falconer Print and Packaging Ltd actions to understand all potential modern slavery risks related to its business and to put in place steps that are aimed at ensuring that there is no slavery or human trafficking in its own business and its supply chains. This statement relates to actions and activities. As part of the print and packaging industry, the company recognises that it has a responsibility to take a robust approach to slavery and human trafficking. The company supply chain including sub-contractors is monitored by supplier approval, maintained within the company quality manual. ETI base code information (see below) is supplied and expected to be adhered to Countries of operation and supply. • Predominantly United Kingdom providing services as detailed above. • There are no activities considered to be of high risk, by the company. • Investigations/due diligence: Responsibility for investigation and due diligence is with all departmental manager’s with ultimate responsibility being directors of the company. • Awareness processes: All staff made aware of the policy as described below. The company operates the following policies that describe its approach to the identification of modern slavery risks and steps to be taken to prevent slavery and human trafficking in its operations. • Whistleblowing policy The company encourages all its workers, customers and other business partners to report any concerns related to the direct activities, or the supply chains of, the company. This includes any circumstances that may give rise to an enhanced risk of slavery or human trafficking. The company’s whistleblowing procedure is designed to make it easy for workers to make disclosures, without fear of retaliation. Employees, customers or others who have concerns can contact any line manager, director or external agency, as detailed in, but not exclusive to, the company handbook. • Employee code of conduct The company’s handbook makes clear to employees the actions and behaviour expected of them when representing the company. The company strives to maintain the highest standards of employee conduct and ethical behaviour when operating and managing its supply chain. The provisions of this code constitute minimum and not maximum standards, and this code should not be used to prevent companies from exceeding these standards. Companies applying this code are expected to comply with national and other applicable law and, where the provision of law and this Base Code addresses the same subject, to apply that provision which affords the greater protection. Falconer Print and Packaging Ltd would expect all of our suppliers adhere to the nine principles of the ETI Base Code and, in addition, would expect all our suppliers to conform to and implement policies relating to ethics, human trafficking and anti slavery, as detailed. 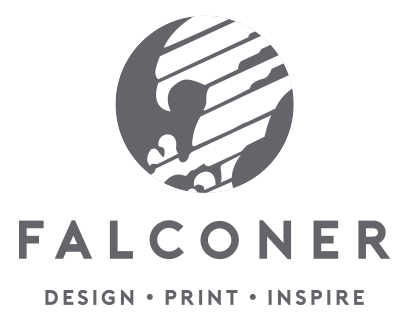 Falconer Print and Packaging adhere to an ethics policy, detailing human and workers rights, and statements referencing modern slavery and human trafficking, which are enclosed. If you require any further information or clarification regarding this Modern Anti Slavery Statement please refer to our contact us page.